SPOKANE – The Department of Corrections' section one field offices in Spokane, Wash. recently held their annual back to school event. It donated school supplies to children who have a parent under department supervision. Each September, families are given a long list of school supplies their children need to have another successful school year. School supplies can be a costly venture, especially when families have several children, according to event organizers. Section one staff hold the event to help offset the cost of new school supplies for the children of community supervised individuals. Field office staff purchased colorful backpacks and stuffed them with school supplies, art supplies, and other needed items. Additionally, a staff member donated extra school supplies and books. Backpacks were age-specific and assorted according to the recipient's grade level. The field office team also prepared wonderful sub sandwiches for participating families to eat. The kids' eyes lit up as they pondered over each backpack, making that very important choice . . . camo, blue, green or one with a minion on it, event organizers said. 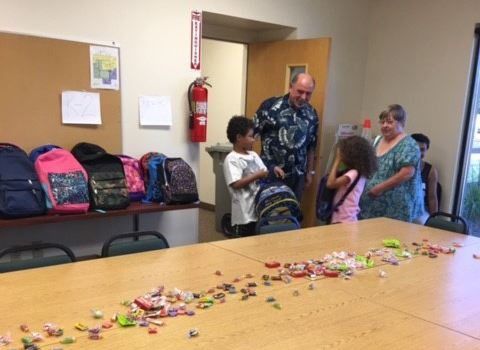 Eleven children attended the event, receiving backpacks and supplies. One of the children's parents stated, "I'm grateful for assistance in providing something needed and nice for my child." Staff donated an additional 10 backpacks to children who attended the Kids United By Incarceration (KUBI) camp last month. 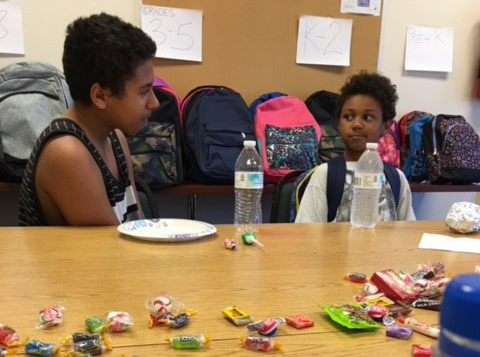 KUBI is a summer camp exclusively for children who have an incarcerated parent. 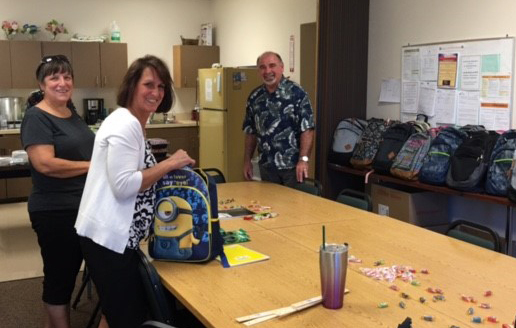 Ten more backpacks were provided for staff to give to the children of community-supervised individuals in the Snohomish and Bellingham work release facilities for next school year. "It was a lot of fun to see the kids' faces," said Lauri Shenefelt, procurement specialist 2. "It was also really nice to have the camaraderie between each of the staff as we assembled the backpacks and put together a special event to help others. It's rewarding to see the interactions between the families and staff as further work together and build bridges that support those who are returning to the community."